Code42 is an American software company that develops and markets the CrashPlan backup software and services suite. It was founded in 2001 as an IT consultancy. Code42 started a project to create a Facebook-like desktop application but ended up focusing on the online storage element, and released CrashPlan in 2007. The company raised $52.5 million in 2012. In 2015, they commissioned to build a new website and a ton of new content to show their progress with products and inform their current and prospective customers about CrashPlan as well as other offerings. As part of their new and improved content strategy, the company needed to drive pre-qualified and anonymous traffic to the website and new content, like their white pages and case studies. They ultimately wanted to see an increase in user engagement, but they had a marketing budget to follow monthly. Code42 wanted to ensure that they were getting the best return on their marketing investment in all the ad campaigns they were running, which included syndication, retargeting, display, and social outlets. 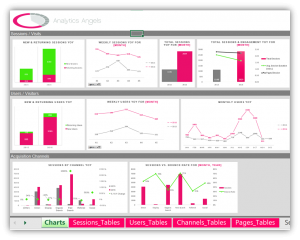 For us to make sure they were getting the most out of their inbound marketing tactics, and see which marketing channel was the best producer of qualified traffic, Analytics Angels set out to create a collaborative dashboard. 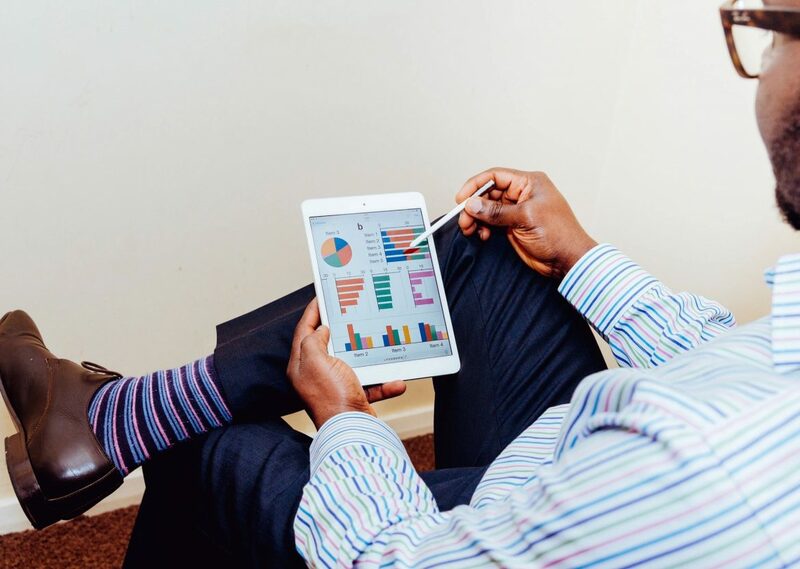 We wanted to make sure that our client could track their digital advertising metrics against their key performance indicators, like: impressions, click, click-through-rate, cost per session, and cost per lead. We had run a benchmarking exercise on their historical data to find these KPIs. The dashboard was created using Microsoft’s Power BI tool kit as we felt it had the best capabilities for importing, cleaning, transforming, and visualizing the data. Analytics Angels could import data from 11 different sources and normalize it using complex data aggregation queries and techniques to show which channels were proving to be the most optimized. We were able to connect the company’s campaign information throughout the entire funnel so you could actually see which campaigns and ad types were driving the most marketing qualified leads. Since we could track metrics and KPIs through the entire sales funnel, it was easier to be prescriptive in what marketing channels had an optimized cost per lead (CPL) and which campaigns we need to eliminate. This helped with budgeting efficiency and improving their return on marketing investment. Overall, we found that their retargeting and syndication channels had the best CPL, increased traffic to the website, and optimized funnel conversion.